Author and explorer, Robert Sarmast, who organized the world’s most scientific expeditions to find the lost city of Atlantis near Cyprus, will be returning to the island country with his team this week to film a documentary during the Kataklysmos festival. After a four-year hiatus, they will prepare for another phenomenal adventure. In 2004 and 2006, Sarmast’s company, First Source Enterprises, LLC, put on two expeditions to find the remains of Atlantis, which were highly publicized around the world and made Cyprus one of the best candidates for the well-known mystery. The expedition took advantage of state-of-the-art deep sea equipment to survey the seafloor between Cyprus and Syria. The crew included several researchers who had worked on the discovery of the Titanic. Thank you for that smart critique. Me & my neighbour were preparing to do some research about that. We obtained a great book on that matter from our local library and most books exactly exactly where not as influensive as your info. I am extremely glad to see such info which I was searching for a lengthy time. This site is the ancient location of the original Garden of Eden as described in great detail within the pages of THE URANTIA BOOK ©1955. 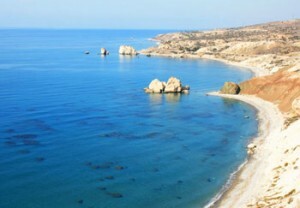 It describes this peninsular off the northern eastern side of Cyprus as the actual place where Adam and Eve (not the being first people on the planet) first lived, some 80,000 years ago. The geographic terrain is therein similar to what is described by Sarmast, and goes on to describe the earthquakes that caused the area to become submerged, well after Adam and Eve abandoned the area and moved over into the Western side of the Persian Gulf. They are the ancestors of the ancient Sumerians who lived in Southern Iran.